Science is more than a body of knowledge; it is a way of thinking. I have a foreboding of an America in my children’s or grandchildren’s time—when the United States is a service and information economy; when nearly all the key manufacturing industries have slipped away to other countries; when awesome technological powers are in the hands of a very few, and no one representing the public interest can even grasp the issues; when the people have lost the ability to set their own agendas or knowledgeably question those in authority; when, clutching our crystals and nervously consulting our horoscopes, our critical faculties in decline, unable to distinguish between what feels good and what’s true, we slide, almost without noticing, back into superstition and darkness. Now, it’s important to remember that the “accuracy” of predictions is often a Rorschach test. An interpretation of a particular prediction’s accuracy usually says a lot about the people interpreting them and their own hopes or fears for the future. And honestly, some of Sagan’s concerns sound rather quaint. If you continue reading, the chapter goes on to talk about how the most popular videocassette rental was Dumb and Dumber, and how Beavis and Butthead was incredibly popular on TV. This, of course, was 1995, but there’s not much new to this way of thinking—each generation thinks that the next generation’s media is toxic and vapid and worthless. Sagan, who died the year after the book was published, may have been right about Beavis and Butthead. But whether you believe in the “dumbing down” of America is still a matter a perspective. In the current climate of fear and the dismantling of civilized society, it may feel terrifyingly true. But it’s also possible that things could get better soon. Don’t count me among the optimists. I’m just saying it’s possible. 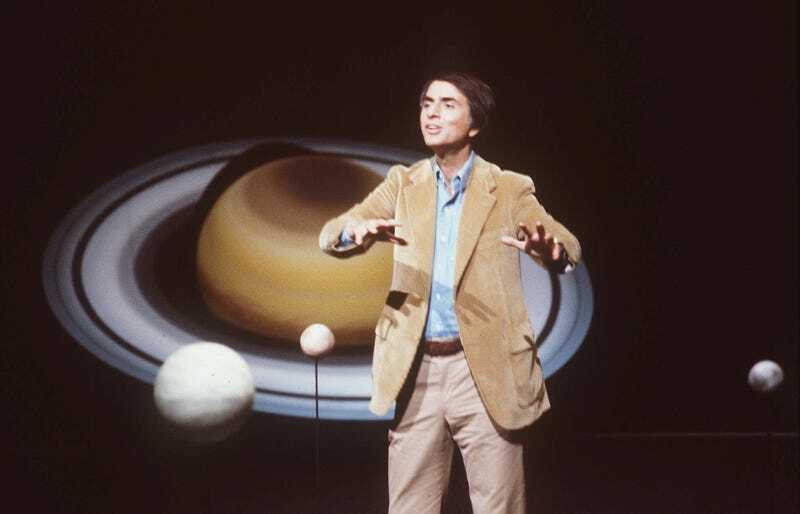 Here’s hoping Sagan, one of the smartest people of the 20th century, was wrong.